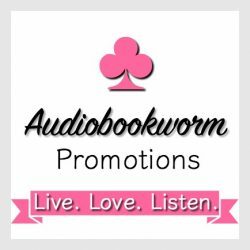 We continue time with Barbara, our featured author for March. 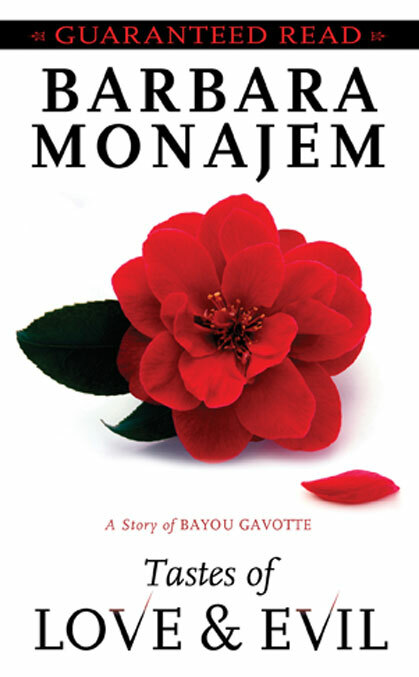 Did you know the Bayou Gavotte series came second in Romance Series? She has some really great reviews about this book we’re reviewing today on Amazon.com and I whole-heartedly echo their votes! About the Story: Rose Fairburn, a vampire, hasn’t met other vampires. She feels alone in the world and unwanted. Much of these feelings are brought on by her experiences when she turned vampire at puberty when she left her family. Rose decides to leave Chicago for more than one reason. She works in Chicago as a seamstress at Miles’ business, but it is increasingly uncomfortable for Rose to stay because he’d been coming on to her ever since he became a widow. She needs to get away and start a new life. Why not in Bayou Gavotte? She decides to take the gown she’d made to the customer, herself, and send the money to Miles. Problems ensue. Miles becomes desperate to get Rose back to Chicago to make another dress for Titania, a vamp who is evil and is threatening him. Rose stops at a hotel in a small town on her way south. She sees two men shoot to kill another man, Jack Tallis, and instinctively steps in to distract the assailants. She sends the injured man up to her hotel room while she deals with them using her vampire abilities. She saves Jack Tallis’ life by licking and healing his gunshot ruins which were bleeding profusely. But of course this exposes that she‘s a vampire. Jack doesn’t like vampires because of a bad experience with a woman vampire. But he now owes Rose. He hates to owe anyone. He doesn’t trust Rose and Rose doesn’t trust him. But by necessity they travel together to Bayou Gavotte. More trouble follows them. Someone continues to try to kill Jack. Through the dangerous events and to avoid their pursuers, Rose and Miles must work as a team to outwit whoever is behind trying to kill them. Rose and Jack meet Juma, a 16-year-old, when they find her handcuffed to the steering wheel of a truck. Jack takes her under his wing because his work is rescuing women who need rescuing from abusive relationships. Juma is very likeable and intelligent, but when she eventually tells them the truth about herself, it is so unbelievable that she knows they will send her back to her grandmother because they won’t believe her. She warms to Rose and Rose to her. She’s scared of Jack who believes in giving everyone only one chance to put their lives together. If they mess up, they must deal with it. He won’t help further. Rose doesn’t agree with this thinking and believes that people should be given enough chances to turn their lives around. In this story we see more of Constantine, a man who has his own demons and paranormal abilities and feel that he’s a very complicated individual. Review: I’m pleased that I read the series beginning with book 1 and not because it was totally necessary to read book 1 to enjoy book 2. No, I’m glad to have read book 1 so I’ll be able to enjoy more of the town Bayou Gavotte. I’ll be reading the last of the series next week. The vampires in Barbara Monajem’s stories have unique talents, but they aren’t evil, well, at least not all of them. So if you are a vampire groupie or not, this book you will enjoy. If you love romance, you’ll enjoy this book, too. The story line is rich with fully developed characters. I felt I knew all of them very well. It is packed with suspense, conflict, frustration and love. People are running away from themselves and from each other. Eventually the main characters find their way, protagonists are defeated, but only after some terrifying events that keeps the reader flipping the pages as quickly as they can read. Barbara is as talented creating a world of vampires as she is creating her stories in the Regency era. 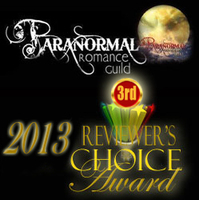 This entry was posted in Book Reviews, Featured Authors and tagged Barbara Monajem, Featured Author, Paranormal Romance. Bookmark the permalink. Barbara, thanks for the lovely read. I can’t wait to start book 3.